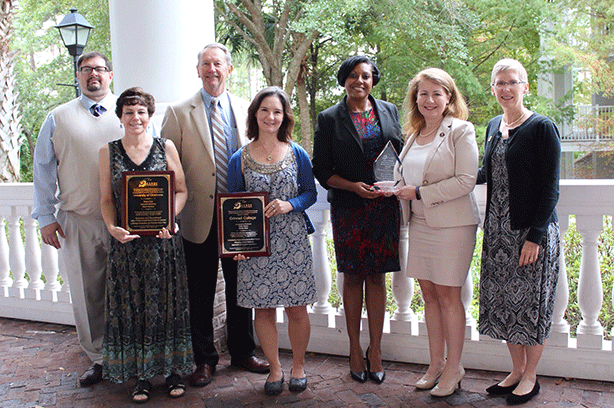 Destin, FL – The Consortium for Student Retention Data Exchange (CSRDE) at the University of Oklahoma presented four awards during the recent Thirteenth Annual National Symposium on Student Retention (NSSR) held in Destin, FL. 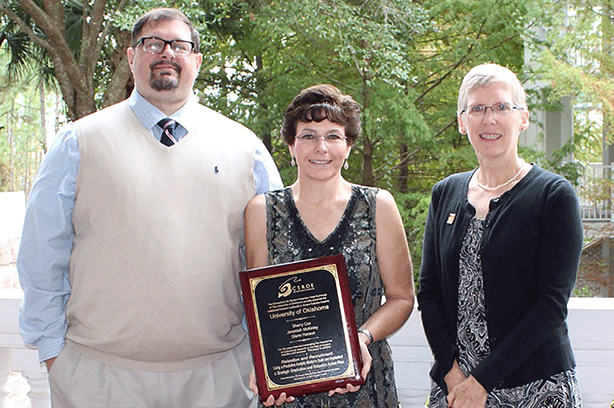 The 2017 Best Practices Award was given to Rowan University for the paper “The Affordability Task Force: Making Campus Change Happen Through Data and Advocacy” by Rory McElwee, Sean Hendricks, Penny McPherson-Myers and Alison Novak. 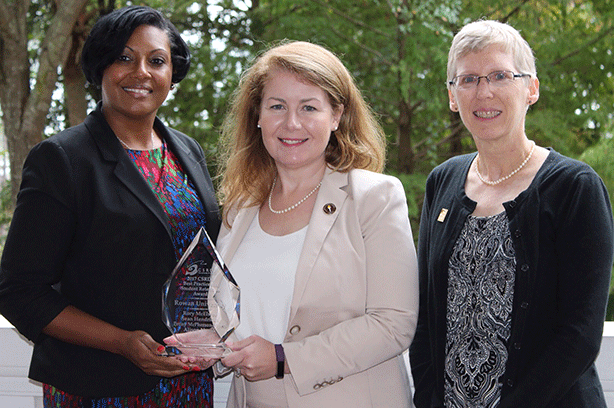 Best Practices Award winners must demonstrate evidence of a system-wide approach to the institution’s retention issues. Rowan faculty, staff and students make up the task force. They began with studies on related programs, as well as their students’ experiences. That data became the basis for effective advocacy and methods for boosting affordability. Aspects of the program include a food pantry and resource center, financial literacy programs and strategies to raise awareness about available resources. 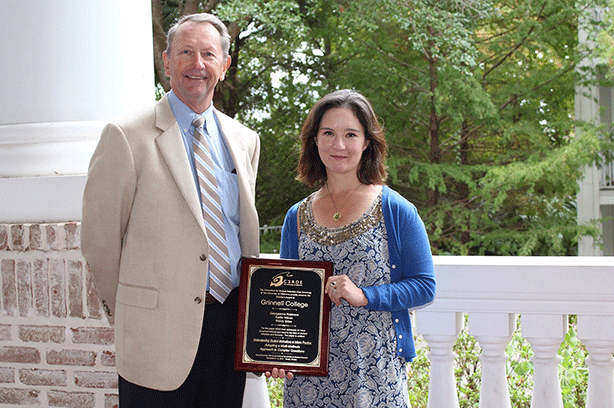 The University of Oklahoma won the Institutional Research Leadership in Student Retention Award. The paper, “Retention and Recruitment: Using a Predictive Analytic Model to Build and Implement a Strategic Graduation and Retention Action Plan,” was written by Sherry Cox, Jeremiah McKinley and Glenn Hansen. This award is given to the paper best demonstrating the importance of institutional research to the field of student retention. The Office of Business Analytics worked with the College of Education to build a predictive model. Based on historical data, it identifies strong candidates for Teacher Certification programs. It also predicts the likelihood of graduation and program completion from the College of Education. Academic advisors and administrators use the model to develop and carry out action plans to assist at-risk students. The Director’s Award, which is given to the paper that best addresses an issue of current interest and need in the field of student retention and success, went to Grinnell College for “Understanding Student Motivations to Inform Practice: Adopting a Multi-Methods Approach to Complex Questions.” Georgeanna Robinson, Kaitlin Wilcox and Randy Stiles wrote the paper. It documents efforts to combine quantitative data with interviews and other qualitative methods. Faculty and staff are using the results for a more holistic approach to student success, informing practice, program development and decision making. 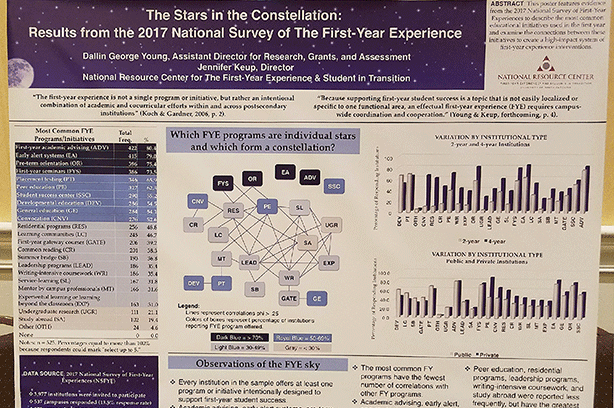 The University of South Carolina won the Best Poster Award for “The Stars in the Constellation: Results From the 2017 National Survey of the First-Year Experience.” Dallin Young and Jennifer Keup created the poster. Conference attendees who volunteered as judges chose the winner on-site. 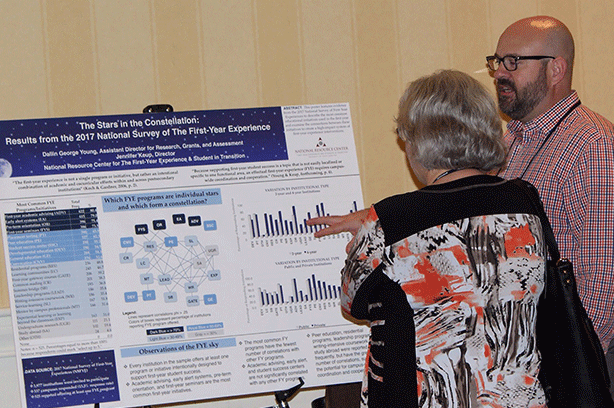 The CSRDE hosts the symposium each year as a forum for administrators, faculty and staff from institutions of higher education to share the most current research on student retention and success. NSSR is distinguished from other conferences in that all papers presented at the symposium have gone through a multiple stage review process before presentation, beginning with the submission of abstracts. If selected, the papers are also published in the conference proceedings. The Fourteenth Annual National Symposium on Student Retention will take place November 5-8, 2018, in Salt Lake City, UT. The CSRDE begins accepting proposals for consideration in late January. Information will be posted as it becomes available on the Call for Proposals page. The CSRDE has a diverse membership of about 400 colleges and universities—two- and four-year, public and private—with the common interest of achieving the highest levels of student success through sharing data, knowledge and innovation. It is operated by the Center for Institutional Data Exchange and Analysis at the University of Oklahoma Outreach. The Consortium for Student Retention Data Exchange at the University of Oklahoma is a consortium of two-year and four-year institutions dedicated to achieving the highest levels of student success through collaboratively sharing data, knowledge, and innovation.